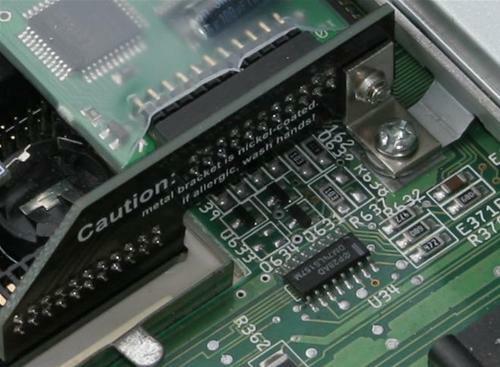 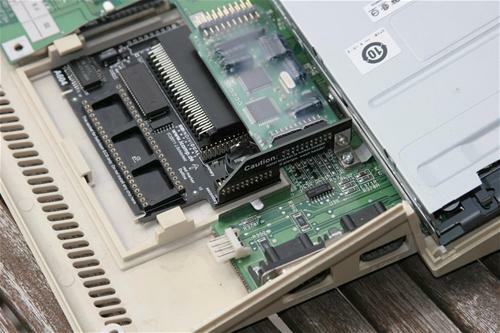 The A604's new design allows to mount an Indivision ECS without losing the floppy disk drive (which was a problem with the A603 card). 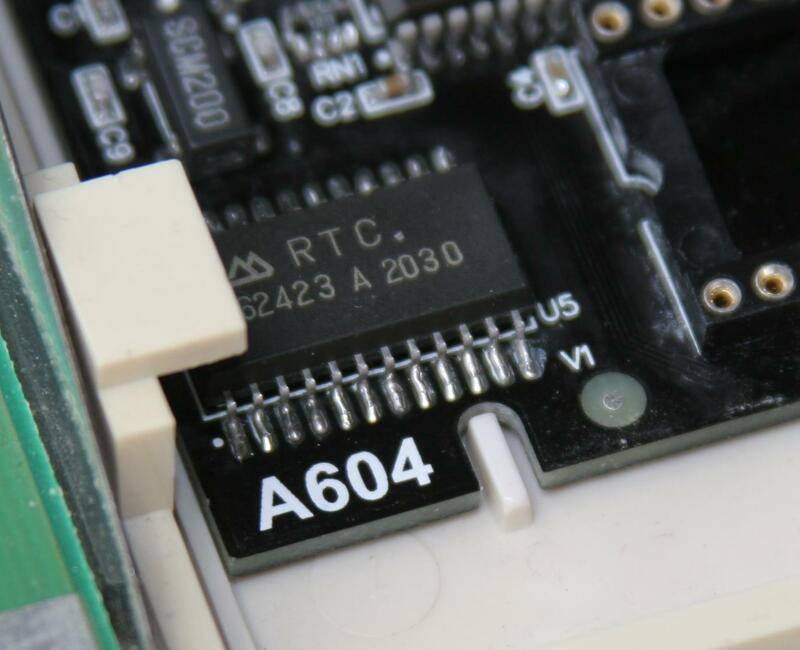 Additionally, the A604 now features a second clockport especially designed for the Subway USB controller module. 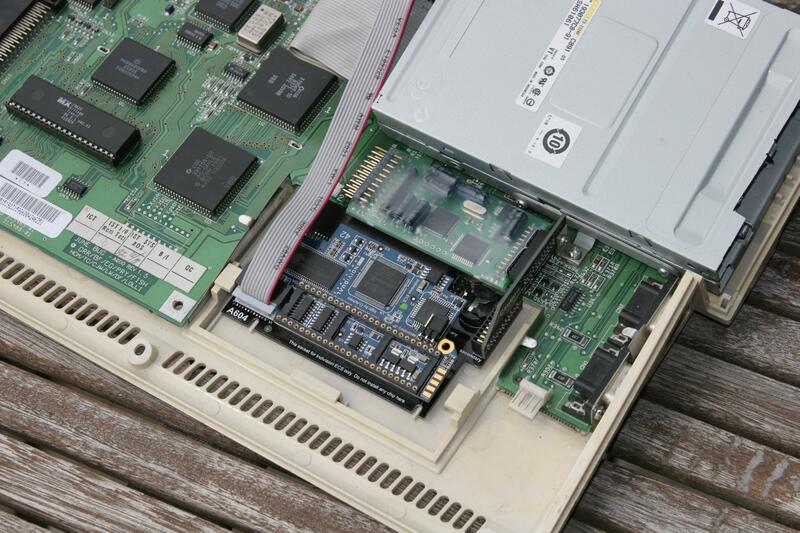 This second clockport can boast a performance gain of 60% compared to a standard clockport, so the Subway's USB transfers are faster than ever before. The A604 can be installed through the trapdoor bay on the bottom without opening the case. 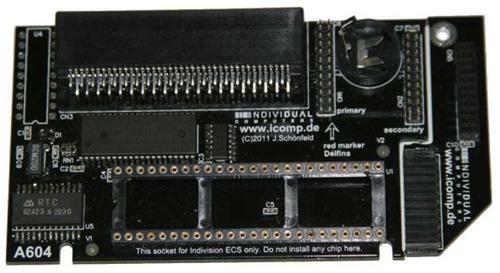 However, it is recommended (and may be required) to open the case when installing additional modules.